1. 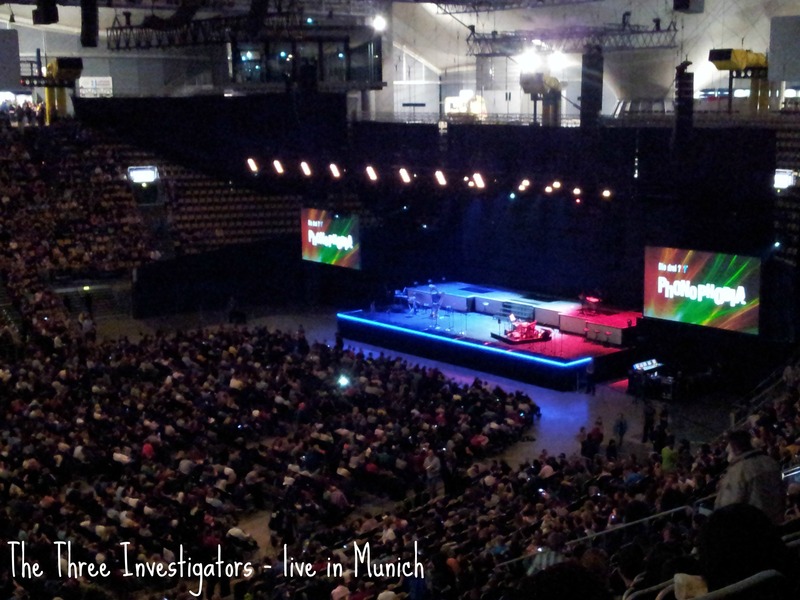 After our friend Madeleine gave us the tickets as a wedding gift I was looking forward to the live audio drama of The Three Investigators. It’s crazy that there is such a hype here in Germany. It was funny, witty and most of all absolutely amazing! The three voice-over artists are fabulous! All three of them started to record that series back in 1976! I reckon nobody would have believed that they were to be celebrated like rock stars for their work someday! 2. What I discovered in the rest room there! Really? I mean REALLY??? 3. It’s exactly 1 month till the half-marathon now. I’m getting the jitters slowly! The next 16k run is going to happen on Saturday. I am still thinking about my playlist. I assume I need 2.30 h to complete the 21k. Should I make a playlist of 2:30 h or rather one of 1:15 h and play it twice. From the psychological point of view feeling to be on the way back after listening through it once might give me an extra push. I am always faster on the way home. 4. I am almost convinced I’ll go for a proper hair cut next time I go to the hair dressers. I love layered hair and as I don’t want to cut my hair short that might be an option. I like Ashley Green’s layered hairdo but as my hair is pretty straight I am not sure that I’d really rock it. Jennifer Lawrence’s hair cut (though she looks spectacularly different now) is really pretty, too. Maybe this fits me better as she’s got straight hair on that photo like me. And I love Lucy Hale’s hair! It’s so wavy! But I know I am too lazy to do my hair like that! and that if I was a mythical creature I would be a Phoenix. 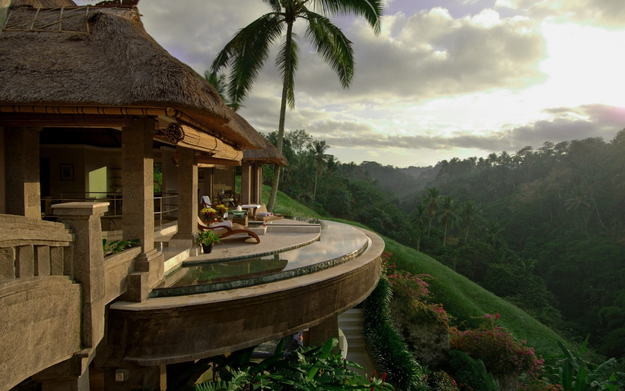 And that I should actually live on a porch overlooking the hills of Bali! Hope your lives are vibrant and full of joy today and you’re not dreaming yourself away practicing your otter Patronus on a porch overlooking Bali! Wish you a very happy Friday Thursday 🙂 And don’t forget to check out more witty randomness over there. 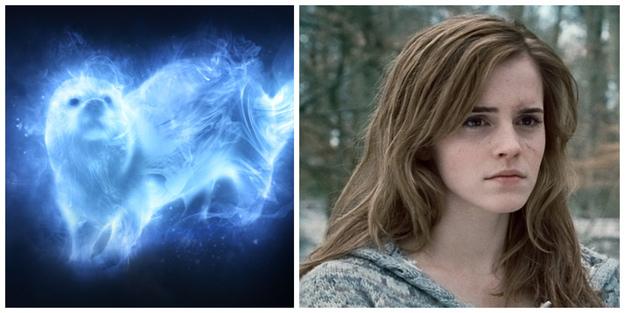 Oh, well, I got a hare as my patronus. Maybe that’s why I feel inclided to buy bag upon bag of carrots then wondering what to use them for? Because I hardly ever snack on carrots. Regarding the playlist I’d say go for one you can play twice. But knowing myself I’d probably include some extra tracks if for whichever reason there are some you want to skip that day. Your playlist advice is genius. I always skip tracks. So I’ll do it exactly that way. Thank you! You have the best patronus!!!!! 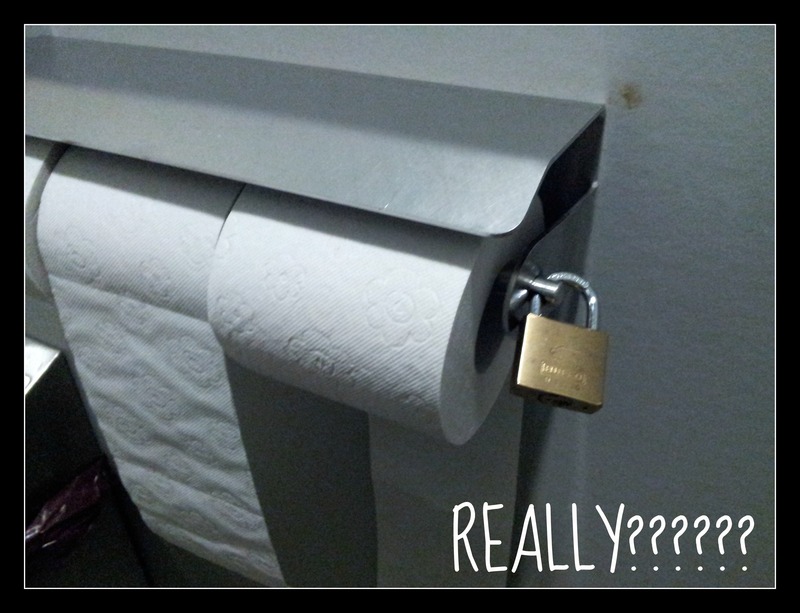 So, my friend is a security guard and the reason for locking the toilet paper is because many people have been left in….bad situations without toilet paper lol! Who if not I can relate to that kind of bad situations 😛 But do people in a concert hall really swipe toilet paper? Can’t wrap my head around that! I JUST got my hair cut almost exactly like you’re describing! I’ll post pics soon!